The Fox. Lightweight and rimless make the Bloc Fox the ultimate sports eyewear sunglass. 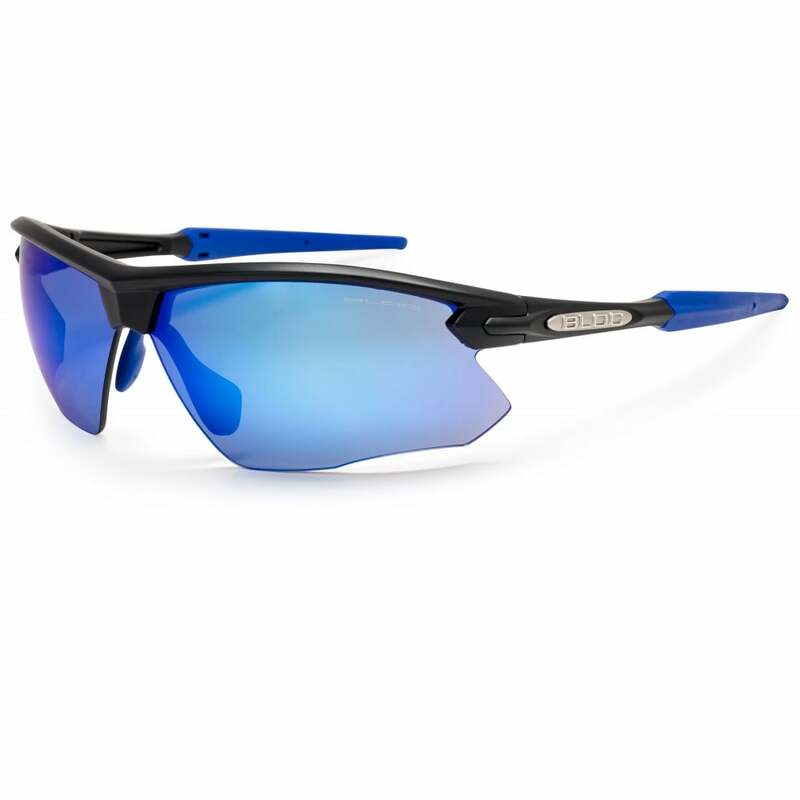 Matt Black frame with a blue mirror Category 3 Optical Class 1 impact resistant lens. Features blue soft grip rubber temple tips – designed to reduce slipping and movement during activities. Fully adjustable soft grip blue nose piece ensures the perfect fit. Wide wrap around lens for great peripheral vision and protection on even the sunniest of days. CAT 3 18-8% light transmission. Heavily tinted on a grey base for bright to extremely bright light conditions.